Fireworks will be lighting up our skies tonight! For this week's A Little Bit of This, A Little Bit of That will be geared towards the 4th of July. 1. 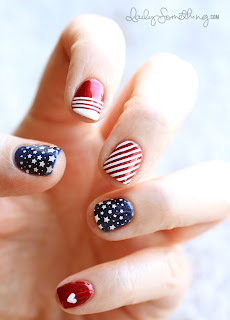 Refinery29 has a list of the hottest 4th of July spots for this year's midweek holiday in NYC. It calls for a Staycation, unless, of course, you've taken the two days off on either side of it. Fireworks is always a big thing and many riverside towns are buzzing with check-ins about the sparkles. Glens Fall and Hudson boasts great displays on the water and I'm sure they'll go even bigger than they did last year. 2. From Because I'm Addicted- a drink to toast America's birthday. It is refreshing and festive and it is called: Red, White and Vodka! 4. 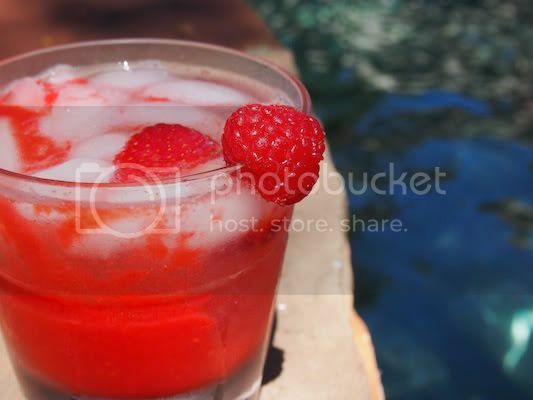 Over ice, pour 1-2 (or to taste) shots of vodka, add 1/2 cup of strawberry/raspberry mixture and top with sparkling water. Garnish with raspberries and strawberries. 3. If you're into photography, here's a link on how to take top-notch firework photos! If you have a point and shoot- basically, find a steady place to rest your camera, no flash, and find the setting for fireworks. Voila! Now, for people using dSLRs- same thing, find something to steady your camera, lens work in your favor, especially wide angle lens, shoot in manual with a low ISO setting. And, lastly, don't be afraid to experiment!!! 4. Let's do some nail fun! I'm sure many of you ladies out there will be rocking this out today! 5. Born in the U.S.A! This is the list of all furniture that is made in gold ol' America. Furniture from American Leather, Modernica, Stickley. Decor from Eastern Accents, Cuddledown, etc. Check it out! Until, next time... Happy birthday, America!! !